Raising Real Men » » You are invited to an Epic Facebook Party! You are invited to an Epic Facebook Party! It’s just like a regular party — people meet in the same place to enjoy each other’s company! Only, we’ll meet online at our Raising Real Men Facebook Page. Just like an ordinary party, we’ll have Party Favors (freebies everyone can have) & Door Prizes (giveaways that we’ll choose winners for). You can visit with us (Hal & Melanie) online and ask all the questions you like — and we’ll have special guests, too, including Hope Auer, author of one of the new books we’re publishing, A Cry From Egypt. It’s going to be so much fun!! From 7:00 – 7:30pm Eastern, before the Party, we’ll be hanging out on Twitter with the hashtag #RRMFB. Follow @raisingrealmen and Tweet Chat makes it easier to follow the hashtag. From 8:00 to 8:45pm Eastern, we’ll be at the Raising Real Men Facebook Page with Giveaways here at RaisingRealMen.com! From 8:45 to 9:30pm Eastern, we’ll be at the Hopeful Stories Facebook Page (the page of one of our new authors, Hope Auer), with giveways on our new book’s page: A Cry From Egypt! From 9:30-10:15pm Eastern, we’ll be at the Children in Church Facebook Page (the other new book we’re publishing), with giveaways on the Children in Church website! We’d like for you to get a chance to know our new authors and new books, personally chosen by us, Hal & Melanie Young, for our publishing company, Great Waters Press. This is how it works: You click on the link above to go to the Facebook page we are on. While there, you can post questions to the wall, make comments, answer other people’s questions and comments and just fellowship. Every little while, we’ll post a link to the appropriate blog post with a new giveaway. You enter by making comments and get extra entries by sharing about the giveaway or posting to Facebook or other things. Then head back to Facebook for more fellowship! It’s really a lot of fun! While you’re waiting, head over to the Party Favors Page and start downloading all the freebies! That link should go live right after lunch on Tuesday! 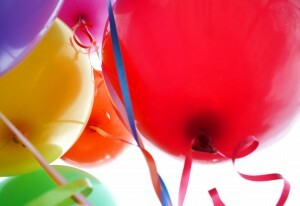 Want to host a Facebook Party of your own – or partner in our next Party? Learn how in our ebook, The Facebook Party Primer. Sounds like fun, wish I could join you… next time!